Participanti:Datcu D.,Gorgan D.,Neamtu C.,Papadopol N.,Pentiuc S.Ghe.,Antone V.,Bran E.,Cozma M.,Dinu M.,Dumitrasc A.,Giuglea R.,Hutanu Raluca Alexandra,Juganaru V.C.,Popovici M.I.,Serban Alexandru Constantin,Stefan R.,Ursu N.,Vacaroiu A.I. 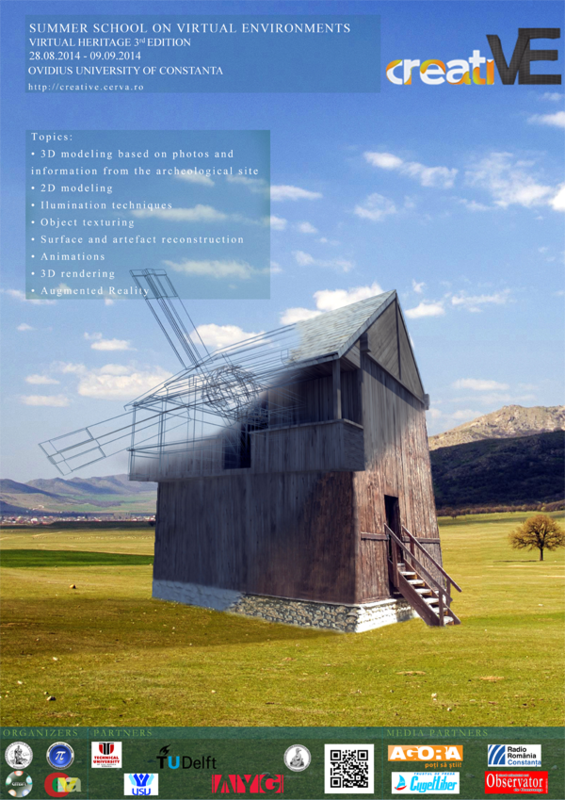 Become immersed into the amazing history of Scythia Minor, and celebrate the victory through third millenium technology through the three-dimensional reconstruction and animation of a authentic Dobrogean Windmill situated at Constanta’s Museum of Natural Sciences. For more information, please visit the creatiVE 2014 website.